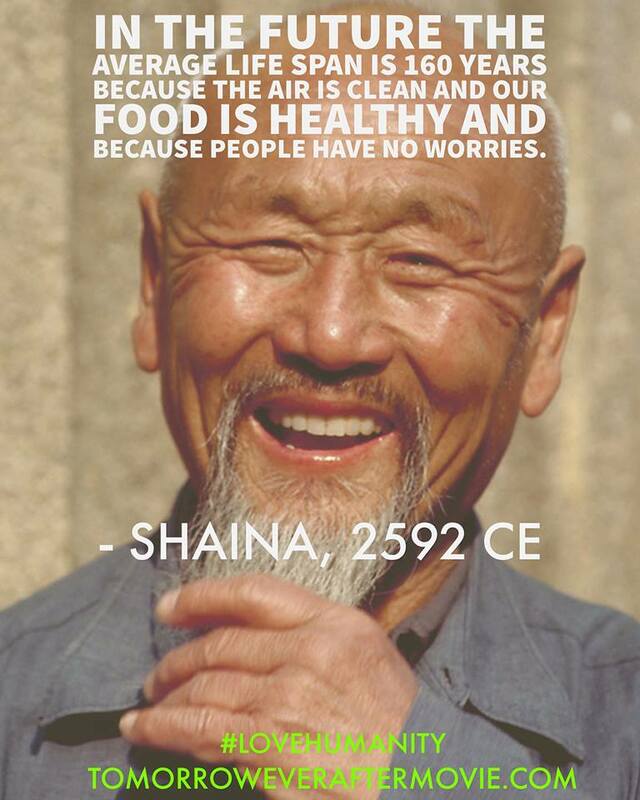 Shaina is a historian who lives 600 years in the future. Humans, at this point, have cleaned up the planet. War, poverty, pollution, greed, exploitation, depression, loneliness - these are things that she’s read about in history books. And while she studied this dark period of history, in which money was viewed as more precious than people, she has never, in the flesh, seen humans hurt other humans. While visiting a group of physicists who experiment with time travel, Shaina is accidentally left stranded in the year 2015. Here she involves herself with a group of friends who are as lovable as they are flawed. As she the harsh realities of their lives unfold, she learns what no history book could have taught her. Old habits, however, are hard to break, and Shaina can’t help but assume that everyone around her is honest, generous, and caring, as she works to recruit the help that she needs to get back home. While most futuristic films depict a dystopia that is even colder and more mechanical than our own, this film takes a bold departure from the sci-fi genre by exploring the possibility of a future in which caring and compassion govern our societies. What if the future of humanity and the planet turns out exactly as we would want it to be? 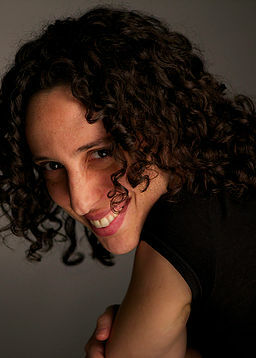 Ela Thier is the writer, director, producer, lead actor, and editor of Tomorrow Ever After. She has been described by industry insiders as a powerful new voice in independent American cinema. Thier is known for creating laugh-out-loud comedies that surprise audiences by evolving into heartbreaking dramas with profound messages about the human condition. Her strength is in portraying human struggles with humor, while highlighting the best of humanity and instilling hope. She is also known for the diversity of her casting, which brings with it unexpected freshness. Thier's award-winning feature, Foreign Letters, is a memoir about her own immigration experience. The film has shown in over 140 film festivals world-wide, and was released by Film Movement and Go2Films (2012). While the film is about tween girls, it brings even "cool" teen boys and grown men to tears. Thier wrote and directed over a dozen short films winning numerous Best Short awards. Her film, A Summer Rain, screened at hundreds of venues world-wide and became a YouTube sensation. Thier was a writer-for-hire on Puncture, starring Chris Evans, which premiered at the Tribeca Film Festival. She also wrote The Wedding Cow, a romantic comedy produced by a major German TV network (2000), winning eighteen international awards including several "Best Feature" and "Audience Choice" Awards. She teaches popular screenwriting, film directing and producing workshops in New York City under the alias of The Independent Film School. Her workshops are known for bringing artists together in the spirit of support and community rather than competition. VIEW REEL. Her writing and direction are resourceful and assured, and her performance is as delightful as it is imbued with political commentary …In its sweet but pointed way, saying a good deal with relatively little, and in unpredictable ways, the film is also a critique of art as corporate product, especially in the realm of sci-fi franchise extravaganzas. Played with touching insight and natural beauty ...provided me with a newfound hopefulness and a new sense of wonder for my fellow humans. Ela Thier brings a fresh perspective …Thier plays the kooky interloper with the same open and unguarded childlike naiveté as Robin Williams’ beloved alien Mork …Ultimately, "Tomorrow Ever After," contains a hopeful message that somehow, the world just might end up a better place. Built around Thier's dignity and gentle humor... she emanates charismatic warmth and seems genuinely engaged with the film's theme of compassion in an era of despair. Thier's sensibility offers such a welcome break... inviting audiences to see our modern-day world through fresh eyes. It is a rare film that insinuates itself so gently into your consciousness, and then opens up like a stealth bomb inside your mind and heart. I felt very different after watching Tomorrow Ever After. The human condition in all of its glory and mess comes into sharp focus. written and performed with a tenderness rarely seen in mainstream films. As sweet and hopeful as it is, there is power in it and a call to change our cold, lonely ways. Original and charming, Tomorrow Ever After achieves what few films manage to: Giving viewers a truly fresh perspective on their current circumstances. Thier’s DIY film delivers its sanguine and timely message like a well aimed punch to the funny bone.